Scott MacDonald, Director of the MBA program at the University of Dayton, joins us today to discuss the university’s online MBA program. 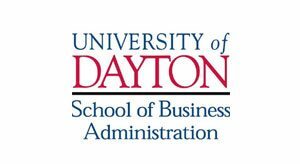 Can you tell us about the online MBA program offered at the School of Business Administration at the University of Dayton? At the University of Dayton, we deliver our MBA program online through MBA@Dayton. The University is a top-tier national Catholic research institution. MBA@Dayton prepares graduates to be well-rounded, strategic leaders who apply ethical principles to the business environment. Classes run either five weeks for one and a half credit hours or 11 weeks for three credit hours. The foundational MBA has 45 credits and the one-year MBA has 30 credits. The program combines flexibility with the richness of class discussions. Each week, students review materials, including videos, readings, etc., at their convenience. Then, one night a week, they log in using Adobe Connect for a live class with their peers and instructor. The curriculum for the online program is the same as the curriculum for the traditional MBA delivered on campus. There is no distinction between the programs on the diploma. We are one MBA program with two delivery methods. Is the GMAT or GRE required for acceptance into the program? Do international students have the same requirement? Anyone with three or more years of full-time professional work experience can have the GMAT or GRE waived. International students need to take one of the following: TOEFL and score at least an 80 on the internet test or 550 on the paper test; IELTS and score at least a 6.5; or PTE and score a minimum of 60. How long does a typical online MBA program take at the University of Dayton? What is the maximum and minimum time of completion? Generally students take about two years to complete the MBA program. There is a path to completing the MBA in one year if the student has a recent business degree. The maximum is five years, but students can request an extension if needed for an additional year. What do you think makes the University of Dayton online MBA program stand out from other online business programs offered by similar schools? Our program offers the best of both worlds: The flexibility to study materials at times that work for the student and the richness of a class discussion. Our classes are generally small (15-18 students) so everyone has an opportunity to participate. The MBA@Dayton program is further differentiated from other online programs by our required immersions. Each student is required to attend two immersion classes. These are three-day programs that are held at a variety of locations and offer a hands-on experience and a chance to spend quality time with fellow classmates. Each student is required to attend the Servant Leadership Immersion at the University of Dayton. This year we are also offering immersions in Portland, Oregon, and San Jose, California. The Portland immersion will focus on how competition creates community in the sportswear industry. The San Jose immersion will focus on Silicone Valley and the operations of tech firms. It is an important factor to consider when looking at programs. 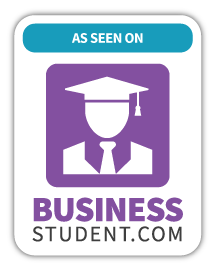 The University of Dayton is AACSB accredited, which represents the highest standard of achievement for business schools worldwide. Less than 5 percent of the world’s 13,000 business programs have this accreditation. AACSB-accredited schools produce graduates who are highly skilled and more desirable to employers than nonaccredited schools. The University of Dayton does not have an online degree. We have an MBA degree that can be earned either on campus or online. It is the same degree, therefore employers see a great deal of value in it. The online classes have been developed by the same faculty who teach the on-campus classes and often are the section instructors online. Does the University of Dayton offer job placement for students who graduate with an online MBA degree? Any graduate of the MBA@Dayton program has complete access to the University of Dayton Career Services Office. There are very limited scholarships available to graduate students. We encourage students to talk to our financial aid office about what may be available. Look for a program that best suits your learning style and availability. Some programs are completely online and have complete flexibility of time. Our MBA@Dayton program has regularly scheduled class meetings, which offer less flexibility. However, you gain the ability to discuss cases and material in a live session with fellow students and faculty. What do you enjoy most about your position at the University of Dayton? I enjoy the opportunity to have an impact on future business leaders. In my role, I can help hundreds of future business leaders each year become better and more effective. Thank you, Scott MacDonald, for sharing and participating in this piece. Dayton's accredited online MBA prepares students to be well-rounded leaders through a curriculum based on foundational business topics, ethics and strategy.